I wish I could've taken pictures. CC and I visited the James Turrell exhibit that's currently on view at LACMA (only until April 6! ), and it was amazing. Amazing! 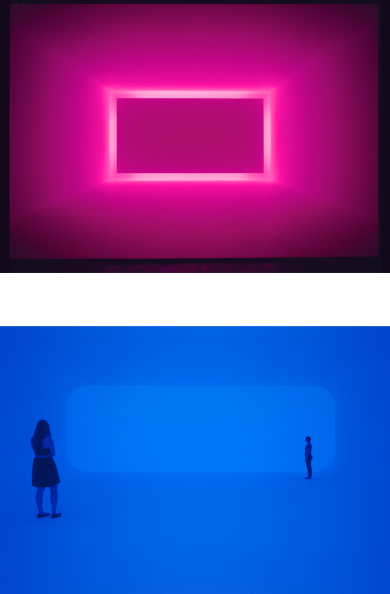 Turrell is a California-born artist who works with light and perception. His work is like nothing I've ever seen or experienced, and I wanted to take CC, too. After all, when you get the opportunity to see something truly magnificent, I believe involving your kids is a must -- as long as it's kid-friendly, of course. The exhibit features light from different perspectives -- some works are projected shapes against a corner of a gallery, creating the illusion of depth. Some are immersive, and you literally walk into a dark, hazy room and observe a wall of colored light. And that's where he experiments with perception. What you're seeing might not be what you think you're seeing at first. For CC, it was admittedly less transformative. I mean, she is 7. While I could tell that she was interested and enjoyed looking at the different expressions of light, she was quick to move to each next room. She did ask questions and point out the different shades of light. She also loved the holograms. And while I was happy to just sit/stand and take in art work someone created that I never would have conceived of, CC was happy playing tag in the light posts or weaving her away through yellow tubes. Yay, LACMA, for having those, too. How awesome is this?! A magic kit for moms! Not only is it a cute little clutch, but what's inside is perfect for moms of little ones. 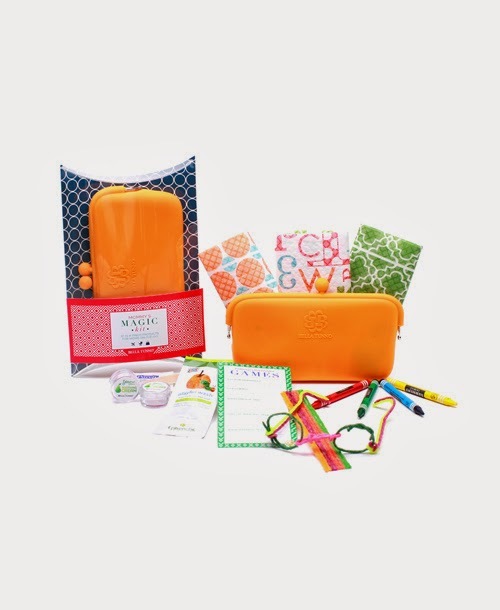 It's called Mommy's Magic Kit ($25) from Bella Tunno, and it holds everything from crayons to play sticks to sunscreen to a disposable diaper pad, bib and placemat! 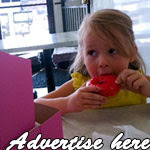 So, don't worry about hitting the restaurant with your toddler! Bella Tunno has it covered! For every product you buy, Bella Tunno will provide a meal to a hungry child in the United States. UPDATE: Congrats to Susan B., who won the Family Four Pack of tickets to see Bob Baker's Fun with Strings! (I apologize for the delay -- the week got away from me!) I'm so excited that she's going, because she's never been! Let me know what you think. 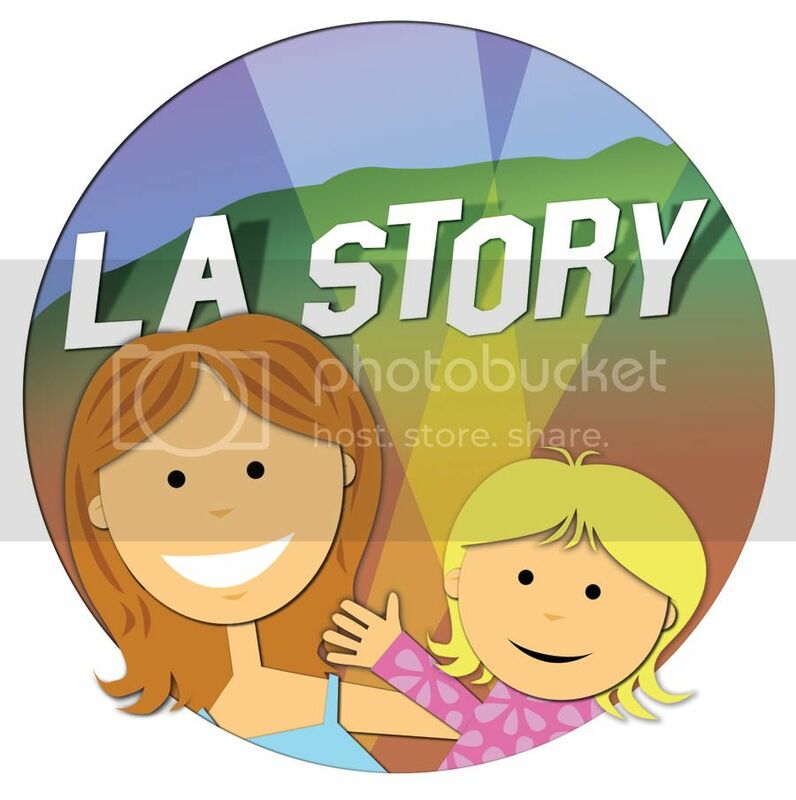 Also, please email me at losangelesstory@gmail.com with your info and which day you'd like to go (April 12 or 13). Thanks to everyone who participated! CC and I shared another magical mother-daughter outing last weekend, when we went to see a show at the Bob Baker Marionette Theater. The oldest ongoing puppet theater in the U.S. marks its 54th (yes, 54th!) season with current show Bob Baker's Fun with Strings, which features those famous marionettes, as well as a special treat for the kiddos after the performance. Bob Baker's theater is a true L.A. time capsule. 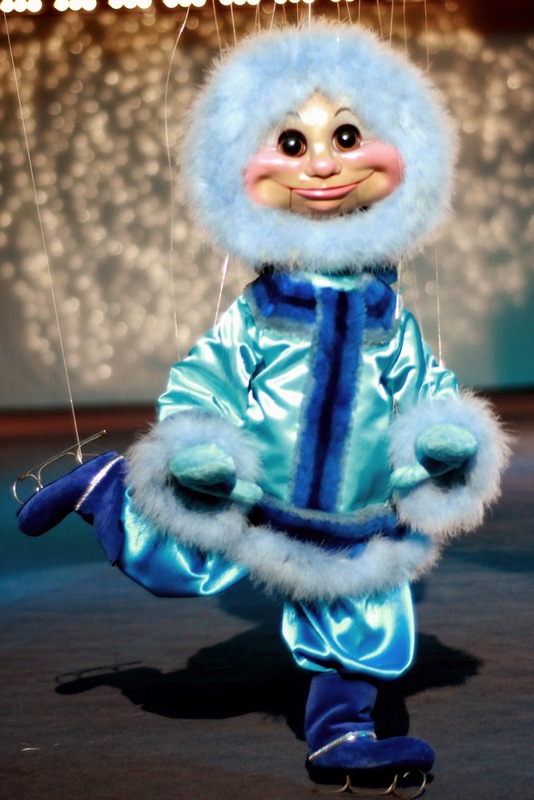 The puppets are gorgeously made and adorned, and the songs that accompany the performances are nostalgic and fun. While the theater owns more than 2,000 puppets, the puppeteers don't use quite that many in any given performance. There are a lot, though! In fact, Fun with Strings boasts a puppet cast of more than 100. Some of CC's favorites included a singing baby seal and an itchy puppy. I loved the ice-skating eskimo. It's funny. At first, you totally notice the black-clad puppeteers, but as the show goes on, it's as if they disappear a little bit as you watch the puppets take on a life of their own. In the party room after the show! After the show, we enjoyed a pizza and ice cream party in the party room (your kids can celebrate their birthdays there!). We also took a trip backstage to get an up-close look at the various puppets. CC and I were definitely impressed! Remember when I took CC to see a show when she was 3? It's amazing to me to see how she's grown. And I'm so happy she can count this happy theater as an enduring part of her childhood home. Performances: Saturdays and Sundays at 2:30 p.m. I'm giving away a Family Four-Pack of tickets to Bob Baker's Fun with Strings on April 12 OR April 13 (2:30 p.m.)! To enter, leave a comment below, telling me if you've ever been to Bob Baker's Marionette Theater. Good luck, and I will announce the winner on Friday, April 4! CC is a big fan of LeapFrog. That goes for the LeapPad as well as the DVDs. 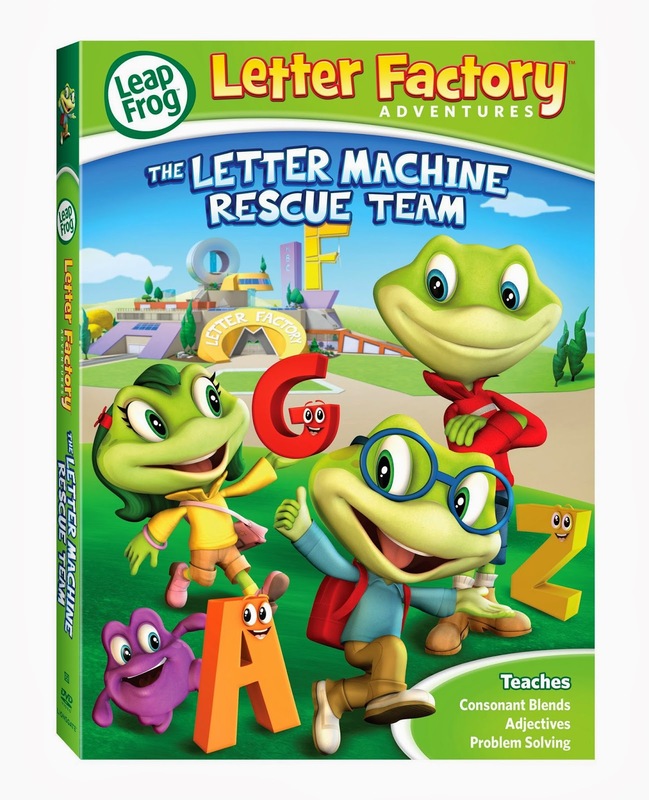 That's why it was so great to catch a special screening of LeapFrog's newest DVD, LeapFrog Letter Factory Adventures: The Letter Machine Rescue Team (SRP: $14.98), at the Lionsgate HQ in Santa Monica. Let's just say the DVD scored a big A from CC and got the thumbs up from me as well. Featuring 3D CGI animation, which is an update from previous LeapFrog DVD incarnations (such as another CC fave, Math Adventure to the Moon), the graphics were easy on the eyes. Not only that, but the story was both fun and educational -- always a plus with me. In this DVD (the first of four), Quigley the robot is about to open the new Letter Factory, and he invites frog friends Leap, Tad, Lily and more to visit. There, the kids learn about building letters, "consonant blends" (such as "st"), and adjectives. When the machinery starts to go haywire, the crew has to work together as "junior engineers" to fix everything. That means bouncing around ideas and testing them out. The DVD is meant for ages 4-7, and I can see how it can appeal to that wide of a range. While the little ones can learn more about reading, the bigger kids, like CC, enjoy more of the jokes and learn what it's like to work on a team -- a team that's made of different people (or, er, frogs) with lots of different ideas. The story models great ways of working together to work things out for the best. 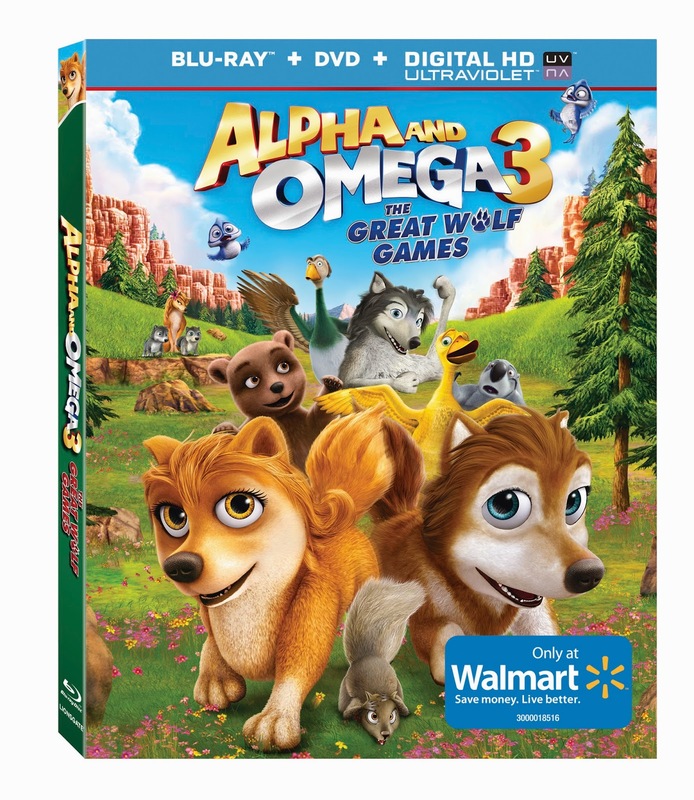 And speaking of teamwork, our Lionsgate double feature included a screening of the latest Alpha and Omega DVD, The Great Wolf Games -- arriving at Walmart March 25 on DVD (SRP $19.98) and Blu-ray combo pack (SRP: $24.99). It will also be available on VOD, Digital HD and PPV. This is a cute movie that also spotlights the value of working together and good sportsmanship, which is a great follow-up to the Winter Olympics. Part of the popular franchise that started with the 2010 film Alpha and Omega, Alpha and Omega 3: The Great Wolf Games has pups Claudette, Stinky and Runt training hard to compete in The Great Wolf Games. When the wolf pups find out that other teams are competing, they, of course, want to join in. Their father, Humphrey, however, has one stipulation -- one the other teams don't necessarily abide by -- and that is, they have to include all kinds of animals if they want to compete -- not just wolves. As a parent, I love the message that the kids should be inclusive and encourage others to join in the fun. I also like watching them train and work hard to become better. They also work together and keep their perspective -- that is, they don't want to win at all costs. And the girl power doesn't hurt. The "Alphas" of the bunch happen to be the mother-daughter duo of Kate and Claudette, respectively, and that was great for CC to see. I loved watching the mother wolf teach her daughter some clever training tricks -- which made her an especially valuable asset to the team.